The calendar has driven us, once again, into the bracing arms of autumn. Northern Hemisphere residents are inhaling the snappy chill of the late-afternoon air, wrapping their dangerously exposed necks in magical Hogwarts scarves, exclusively eating and drinking things that taste and look like pumpkins, losing their children in elaborate corn-mazes, and unabashedly participating in the creepiest-sounding of all autumn activities: leaf-peeping. Meanwhile, here in Santa Barbara, California, it’s 70-something degrees and sunny, and everyone is at the beach. Just like every other damn day of the year. I’m not foolish enough to try to elicit any sympathy for my life in a Mediterranean climate. For a century, people have moved to Santa Barbara precisely for the therapy of sun and salty ocean air. No one in upstate New York will shed any tears for me when they’re shoveling themselves out of 11 feet of snow in January and I’m unironically wearing shorts. Yet, while I am happy to call this place home, I miss seasons, sometimes desperately. No doubt retailers play a role in my angst; they have conditioned me, rather brilliantly, to associate dates on the calendar with particular products and activities. When the bell of the autumnal equinox rings, I start salivating for pumpkin-spiced whatever—like the most annoyingly hipster Pavlovian dog…and I don’t even like sweet things. Most of it is influenced by nostalgia. I grew up in Seattle, and autumn evokes childhood memories of driving with my dad past the sprawling local pumpkin patch on drizzly Saturday evenings and returning home to the fire after University of Washington football games. But it goes even deeper. Seasons are not only realities that occur outside and around us, in the skies and in the trees. I believe seasons are also internal and personal, interwoven into the fabric of human life. We are designed to transition, to change, and to vary. Our souls have seasons. When there are few changes in the outward seasons, it is easy to neglect the shifts required by our internal seasons. When you live in an unchanging climate, it’s tempting to try to match it with an unchanging life. 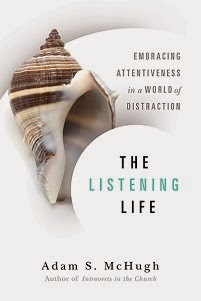 External seasonal cues can remind us to transition into something new and to live differently. The reason why people historically have celebrated the month of October so extravagantly is not only because it’s harvest time, an ancient time of gratitude, but because they sensed on a primal level that the world was slowly closing, the sap was gravitating back toward the soil, the darkness was encroaching, and the natural world was going dormant. They knew their daily lives were going to change along with it: it was almost time to go inside, build a fire, and wait out the winter. My longing for seasons feels like a desire for the permission to change, to slow. I don’t believe we are built to move at the same pace, do the same activities, and feel the same feelings all year round. Humans, just like the natural world, are meant to cycle through seasons of dormancy and new life, activity and contemplation, celebration and sadness, blossom and harvest, openness and closedness, austerity and abundance. I believe the seasons serve as a lesson book for the soul, instructing us when to move fast and when to slow down, when to act and when to rest, when to focus on the world outside and when to hibernate and go down deep. If we ignore the lessons of the seasons, we may feel the pressure to try to be “up” all the time—always going, ever energetic, constantly gleeful. We may find ourselves restless and exhausted without having any idea why. Living in a climate of seemingly endless summer has taught me some valuable lessons. First, the seasonal changes are there, but you have to discipline yourself to pay attention to the subtleties. Seasons are exercises in attentiveness. The radiant glow of summer modulates into the beautiful sadness of autumn, but it’s delicate. The marine layer persists just a little bit longer in the mornings, and the air warms up a little slower in the morning and cools down a little faster in the afternoon. The clouds linger on the peaks of the Santa Ynez Mountains into the afternoons. The light falls differently and casts longer shadows, and the loud pink rays of the summer sunset are brushed aside by the amber and burnt orange hues of fall’s curtain call. Second, seasons are now something I choose. Here, autumn is something you resolve to do. I love that the word deciduous has the word decide embedded in it. Although I live in an evergreen climate, I have resolved to lead a deciduous life, for the sake of my soul. I allow the encroaching darkness of the fall to drive me inside earlier in the evening to read, to write, to reflect. And sometimes, you just have to put soup in the crockpot when it’s 80 degrees outside. I want to let the seasons, and their inherent gifts, rhythms, and offerings, teach me how to live and to be more human. There is a growing trend in our country of eating in season, enjoying the produce that particular season has to offer rather than trying to eat a plastic tomato in the middle of February. What if we extended that idea to living in season? What if we stopped trying to live the year at a dead sprint and instead let the seasons teach us about how to move and how to live? 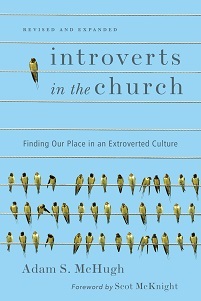 I was originally asked to write about this topic because I have written a book called Introverts in the Church, those in the church who prefer a quieter, slower, more contemplative lifestyle and who, for those reasons, often find themselves on the fringes both of the culture and of Christian community. I saw a blog post recently that called January 2nd "Happy Introverts Day" because of the notorious nature of the holiday season for those of us who find social interaction tiring and sometimes stressful. 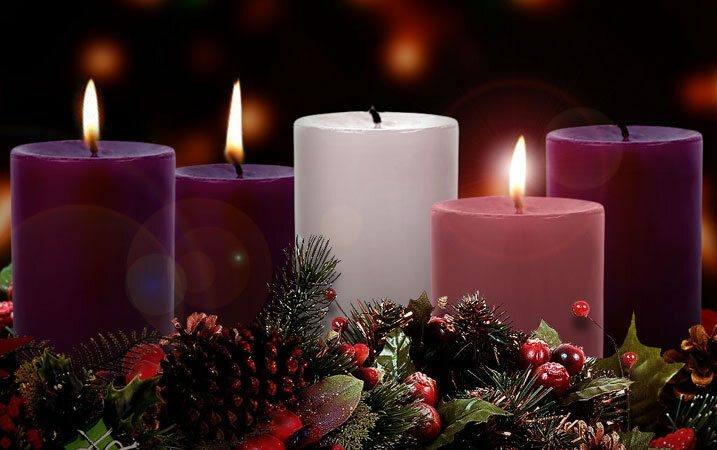 But the truth is that the need for a quieter, less cluttered, more reflective Advent season is not restricted to introverts. The clatter of the holidays has caused people of all temperaments to turn from the inner places of our souls, contributing to the superficiality of our spiritual practice during this season. We need to find a new way to celebrate.